2.4" x 2.4" stitched on 14 count. 1.8" x 1.9" stitched on 18 count. 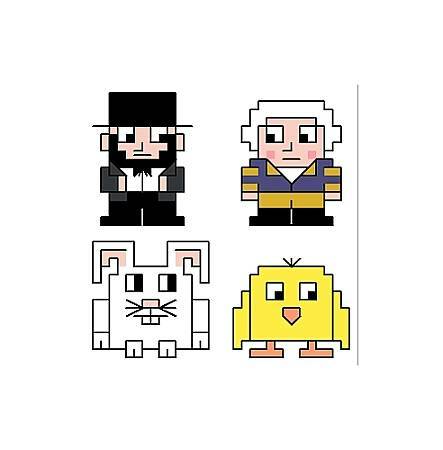 More Spring Holiday Quads cross stitch pattern... The Quads are small, squarish figures. Use them in your own designs. The small size makes them ideal for magnets, bookmarks, napkin rings, jar covers, borders, etc. This set includes figures for President's Day and Easter.